It was an emotional morning for Holly Willoughby. During This Morning today, a young Manchester United mega fan told his story. 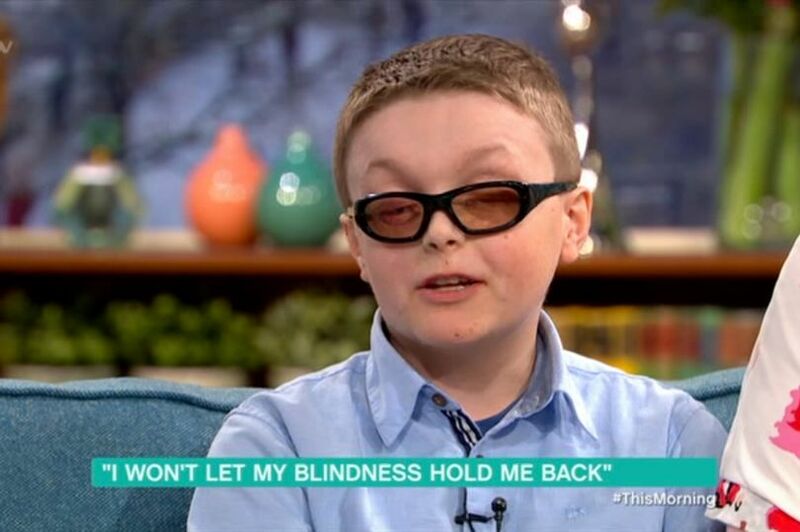 The 10-year-old explained that he lost his sight and 96 percent of his skin at the age of seven after a rare condition left him registered blind. It was revealed that Declan had Steven-Johnson syndrome, a rare, and potentially fatal, skin condition. This Morning had a surprise up their sleeves for young Declan. "The FA are inviting you to be a mascot for England’s key Euro 2020 qualifying game against the Czech Republic at Wembley on March 22." "You’re going to walk out with one of the stars of the three lions in front of 90,000 spectators. How does that make you feel?" The youngster was stunned, and his reaction left Holly Willoughby in tears. Wonderfully, despite his heartbreaking diagnosis, Declan's love of football never went away. He said that getting back into football has been "pretty good" and that "as long as I can play football, I don't mind." Amazing! What an inspirational young man.